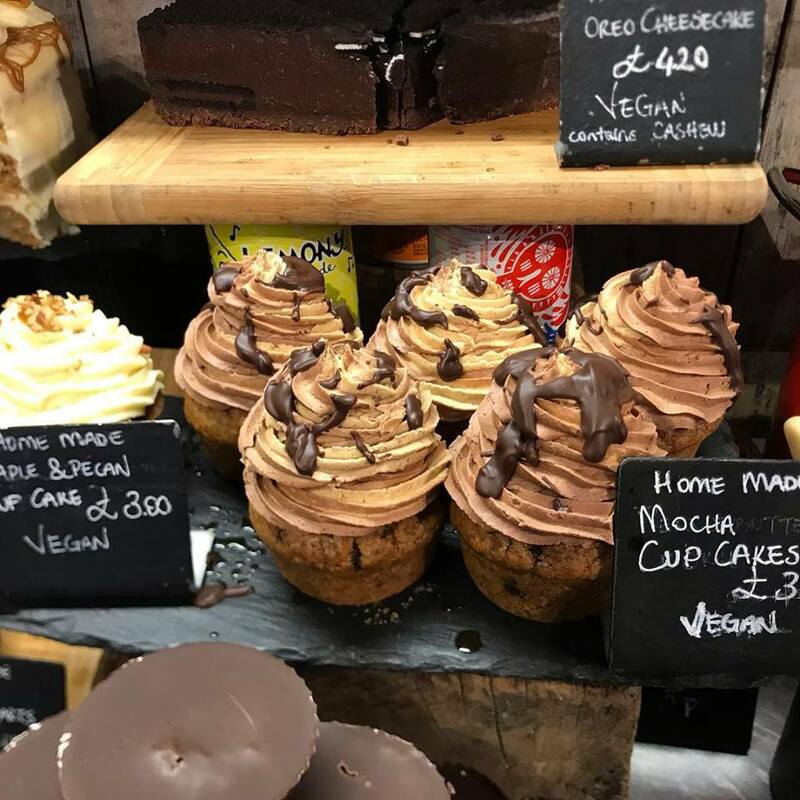 Pasty shop owner Ian Baldry is not vegan, nor is his wife, but yet he seems to have caused quite a stir among Brighton vegans at his shop which is (IMHO) the unlikely home of the best vegan cakes in the city. 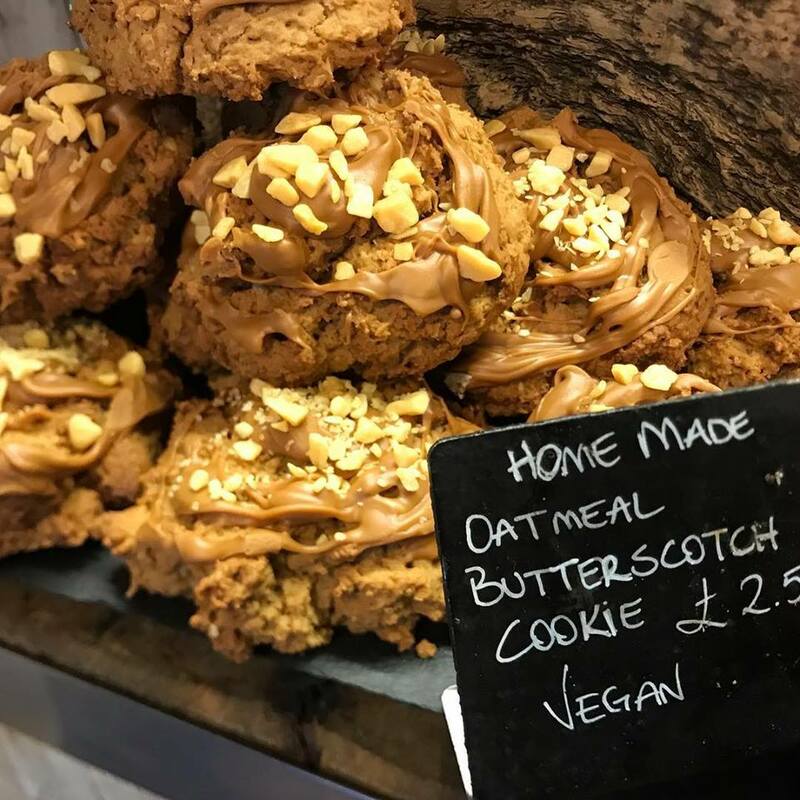 Cornish pasties do not evoke vegan connotations, so how is it that The Cornish Pasty Shop, in the North Laines, is attracting vegans around the city for its vegan cakes, which are greatly outselling the steak pasties? First opening 2005, the shop didn’t have any vegan options. All that changed in two weeks when Ian cottoned on early to the demand. At first his steak pasties were the best-seller, but there was still healthy demand for vegan pasties. 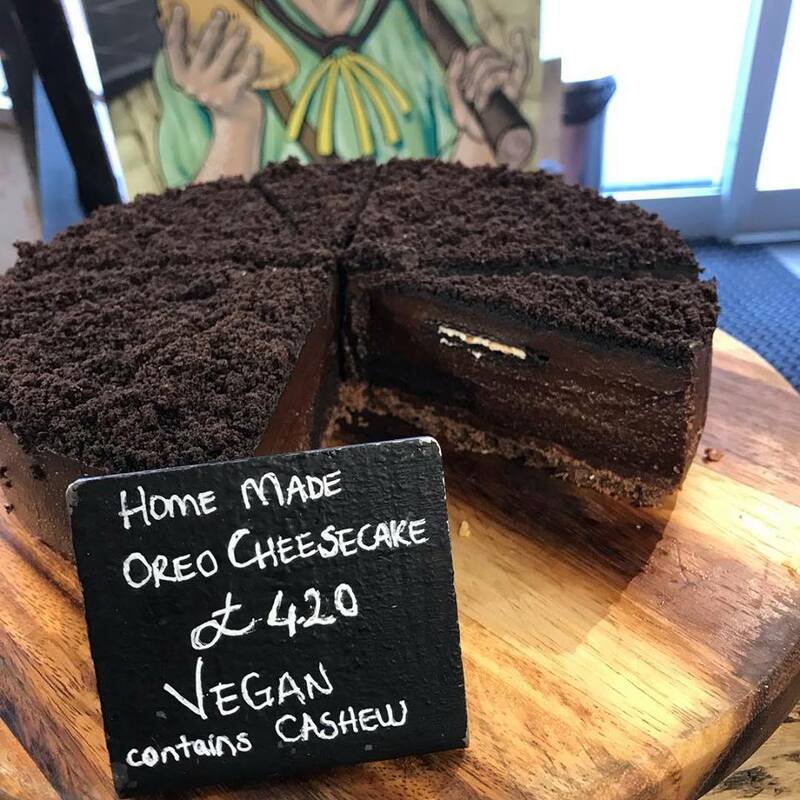 Now, due to the unstoppable rise of veganism, his shop has been shared in local vegan Facebook groups, alerting cake-lovers of his ever-changing cake offerings. Whether by coincidence or otherwise, all his staff are vegan, too. The shop currently offers Oreo Cheesecake, Cookies and Cream Cake, Fruity Carrot Cake, Oatmeal Butterscotch Cookies and Mocha Cupcakes. The Cornish Pasty Shop also has three vegan pasties on offer: Thai Vegetable, Vegan Wholemeal and Mexicana. His Thai Vegetable Pasty is a standout best-seller, and scooped up the silver medal in the World Pasty Championships – fighting off competition from meat pasty competitors, and judged by omnis around the world. Ian also has sold vegan sausage rolls since way before the recent media storm surrounding Greggs. “I was a bit annoyed about that [the hype] actually, we’ve been selling them for years! I think I was the first although there’s no way of proving it,” he told Totally Vegan Buzz. The Cornish Pasty Shop hasn’t seen a similar omni backlash. One customer did recently walk out because everything in the store at the time was vegan, but these incidents are rare. 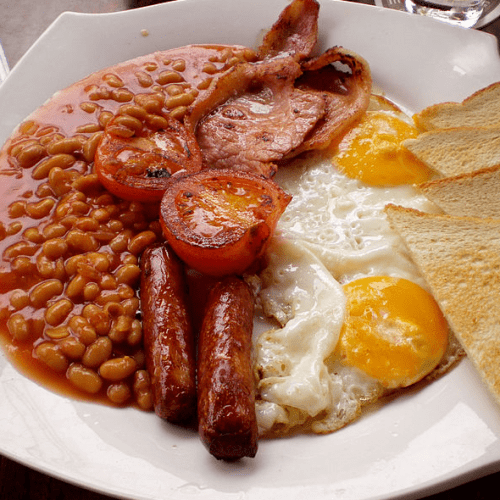 Ian is personally not keen on meat substitutes – he and his wife believe in using minimal processed foods. The couple are also in the process of developing a seitan steak pasty alternative, after discovering the healthy nature of home-cooked seitan. As the bulk of his pasties are made in Cornwall it will be challenge, but one they plan to come at with gusto. 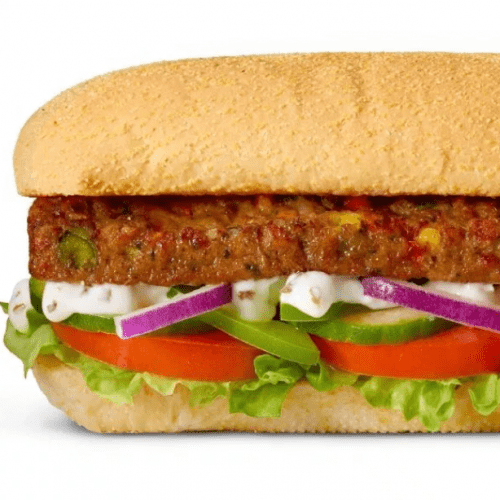 What’s the best vegan sausage roll you’ve ever tried? Tell us in the comments below!